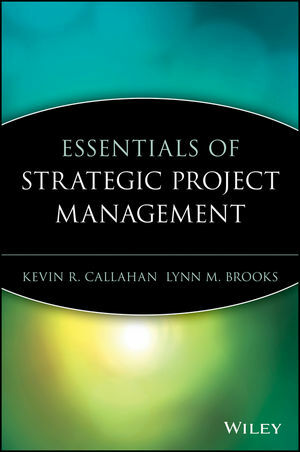 Get a high-level overview of project management with this strategically focused book. You'll find practical guidance, useful advice, and valuable tools and techniques for navigating project management. The authors demystiy project management by defining many terms that project managers use that may not be familiar to you as an executive. They also equip you with the critical knowledge and background to implement sound project management methods, as well as gain a better understanding of project management and increase the success of existing projects. Kevin Callahan, PMP, is the founder and President of PMCi, a registered education provider for the Project Management Institute (PMI), the leading professional association in the field of project management. Callahan is a frequent speaker in the field. Lynne Brooks, PMP, is President of Lynne Brooks & Associates, a consulting firm specializing in project management, training and development, and performance management. She is also Vice President of PMCi. She has successfully managed projects for a range of clients from Fortune 100 to start-up companies within a diverse group of industries, including petroleum, marketing, telecommunications, systems/software development, e-commerce, retail, and financial. She teaches project management both nationally and internationally in conjunction with PMI. 1. The Problem with Project Management. 2. The Basics of Project Management. 5. Project Execution and Control. 7. The Project Management Office.